B9870T Battery, for Fisher Pierce Joslyn 1548 fault indicator model 1548FH-U1C2-L-N-A. 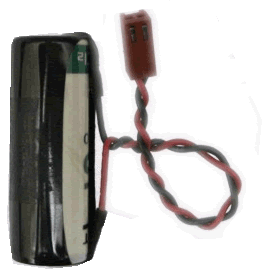 This is a 1 cell lithium battery designed for Fisher Pierce Joslyn 1548 fault indicator model 1548FH-U1C2-L-N-A. Low self discharge rate gives this cell a 10 year shelf life. Stable voltage broad temperature range (-60�C to +85�C).